This book is a tribute to passion: passion for pâtisserie and passion for France. It is a celebration of a French art de vivre and is intended for all Francophiles and chefs in the making. In this book you will find recipes that cover a whole range of exquisite pâtisserie – from family desserts to classic and traditional French pâtisserie. I want to share with you recipes from my childhood that I learnt from my Maman, who herself learned it from her mother. A common misconception that surrounds French pâtisserie is that it is difficult to make. 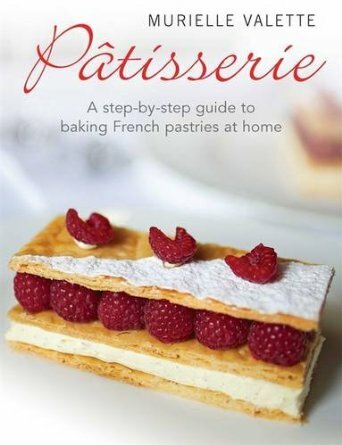 You will discover in this book the well-kept secrets of French pastry chefs; all classic French pâtisserie is built around a few basic techniques and core recipes. If you learn to master these, you can recreate any French dessert from the simplest to the most complicated. You will then be able to serve at home what you see in the pastry shops and bakeries or eat in the traditional restaurants and bistros in France. I have cooked for as long as I can remember. This passion is still central to my life, both at home and at work. I aim to show that it is easy to bring the work of professional pastry chefs into every home. Everybody can learn how to bake French desserts if the recipes are explained properly. Following this book will hopefully be like taking a private pastry course at home. In the richly illustrated first section, you will find many pictures explaining the basic techniques step by step. The main part of the book contains all the recipes, organized in chapters by pastry type. Most recipes will use one or several of the basic techniques explained at the beginning of the book. It also contains shortcuts and professional tips for successful and rapid pastry-making at home. This entry was tagged book, dessert, france, Murielle Valette, ockenden manor, pastry, pâtisserie. Bookmark the permalink.